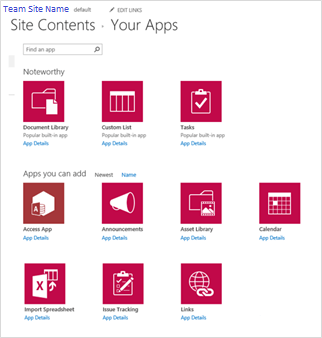 In SharePoint, you can upload an existing spreadsheet from your computer to your team site. The original spreadsheet on your computer and the imported spreadsheet on your team site will not be connected to each other, however. 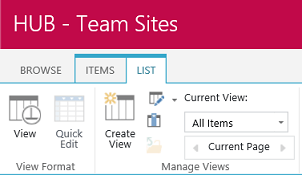 Any changes made on your team site spreadsheet will not save to the spreadsheet on your computer or the reverse. NOTE: The following instructions work with Internet Explorer, Google Chrome, or Mozilla Firefox browsers. The Windows Edge browser is not compatible for importing a spreadsheet, however, and will display the following message requiring you to restart the process in another browser. 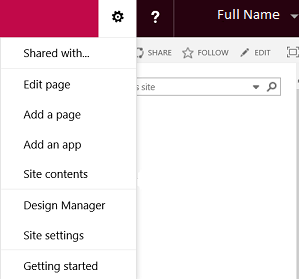 Click the Gear icon next to your name, and then click Add an app. Enter a Name and Description into the text fields, click Browse to select the file location for the spreadsheet you want to import, and then click Import. Occasionally, the spreadsheet opens as a minimized spreadsheet on the taskbar located at the bottom of the screen. In these cases, click the spreadsheet on the taskbar to open it. 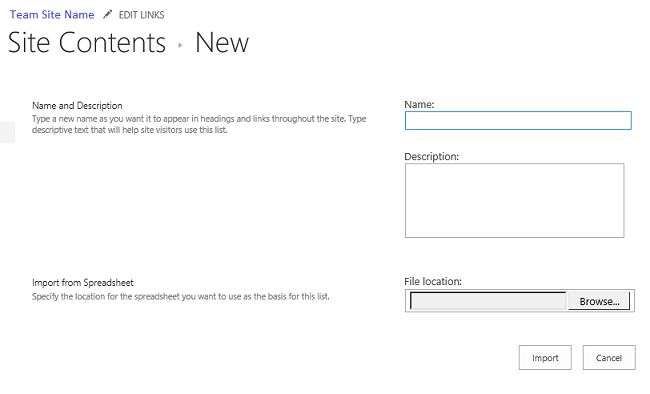 On the Import to Windows SharePoint Services list window, click the Range Type drop‑down menu, select Range of Cells, and then click the Select Range drop‑down menu. 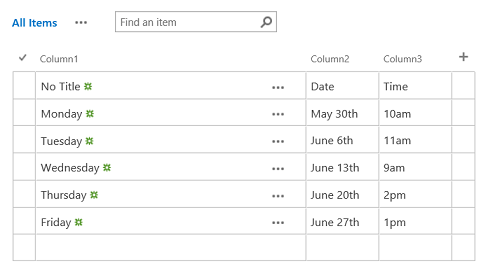 Highlight the rows and columns you want to import to your team site (the image below shows all rows and columns selected), and then click the icon in the bottom right‑hand side of the Import to Windows SharePoint window. 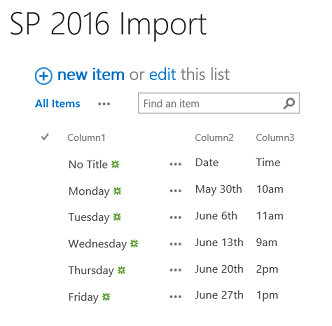 On the Import to Windows SharePoint Services list window, click Import. 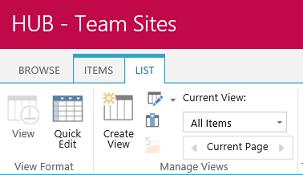 Your spreadsheet will open as a SharePoint List called a View. The View button, located on the List tab, is disabled to show that View is active. 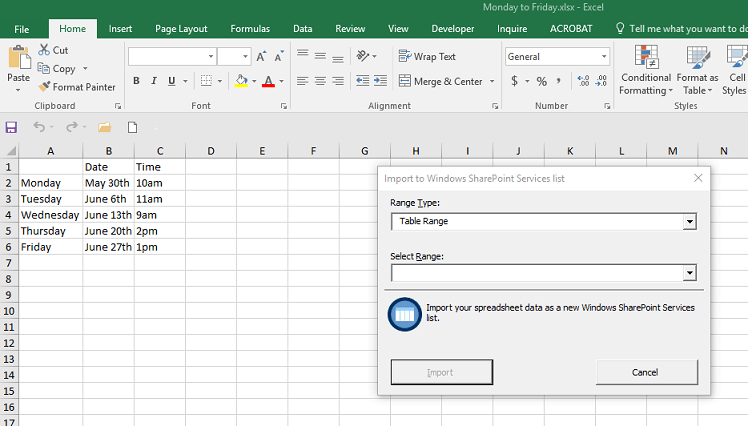 You can open the spreadsheet using Quick Edit, and it will look similar to an Excel spreadsheet. The Quick Edit button, located on the List tab, is disabled to show that Quick Edit is active. NOTE: You can toggle back and forth between View and Quick Edit of an imported spreadsheet at any time.